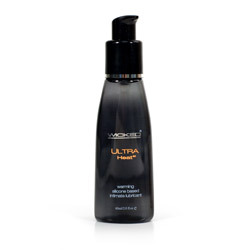 The Wicked Ultra Heat Lubricant is a great silicone based product from Wicked Sensual Care Collection. Instantly as it’s applied the warming sensation is felt. It feels hot right away but never did it burn. This lube is definitely pleasurable and has several natural ingredients in it one of them being coconut oil. Thank you for viewing Ultra heat page!